The sample that I sent to you DO NOT have latex being sprayed. It is 100 natural and green product. Environmental friendly. It is a processed product and one more ingredient is sulfur. Sulfur is a chemical that added to it so that it won’t feel gummy after dry. If natural latex itself, you will feel gummy even after dry. When we get latex from rubber tree, it’s natural. But when add ammonia to make it gummy and sulfur to prevent gummy after dry, this latex is not natural anymore. That’s is y we do not want to misled our client and hold on to our 100pc natural product. Secondly, when you add in latex, the weight of the mat does not come from the fibre itself, the latex also carry weight. So what you buying 700gsm coco mat is in actual fact only consists of 500g coco fibre. 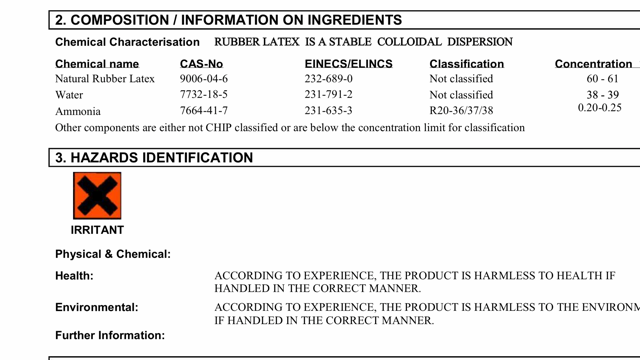 But as for our product, we do not mix with latex, thus our fiber content is much higher than the coco mat.